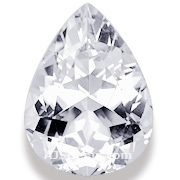 Looking for a fine white or colorless natural gemstone, but don't want to pay the high price for a small diamond? There are a number of choices in fine white precious and semi-precious gemstones, including some lesser known gems. These include sapphire, zircon, topaz, quartz (rock crystal), goshenite, petalite and danburite. Danburite is one of the least known of the colorless gems, though it makes a very good jewelry stone. Danburite was first discovered in the USA and was named after the city of Danbury, Connecticut, about 70 miles north of New York City. Danburite was discovered in 1839 by Charles Upham Shephard, an American mineralogist who was professor of natural history at Amherst College. Gemologically, danburite is a calcium aluminum borate silicate by chemical composition. It is quite a hard material, with a rating of 7 on the Mohs scale. Since it has a moderately high refractive index (6.30 to 6.36), about the same as tourmaline, danburite can can be faceted with good results. Danburite has indistinct cleavage, so it is easy for lapidaries to cut, and it takes a good polish. 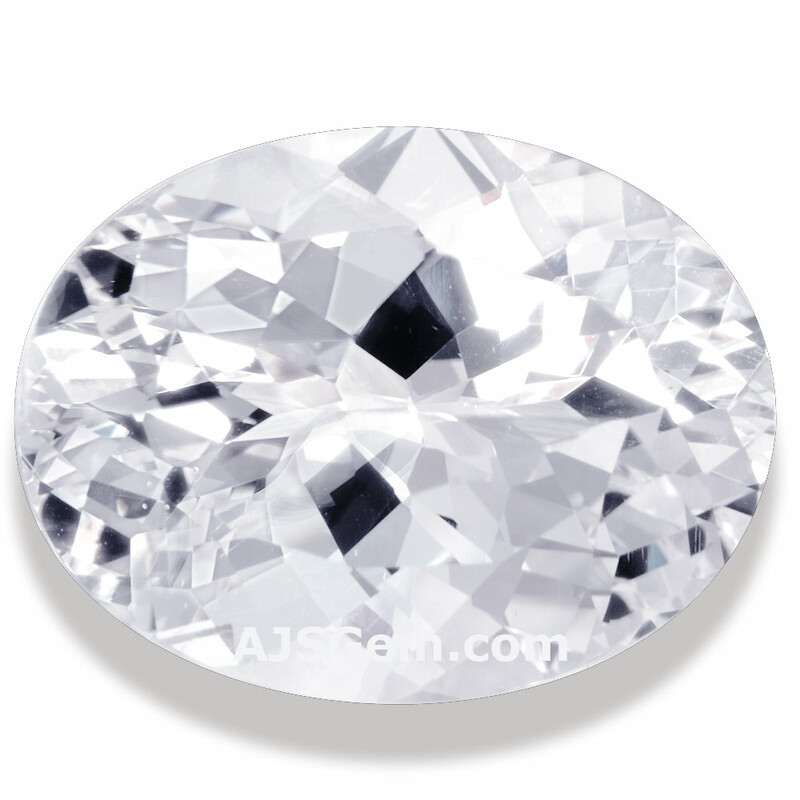 Danburite is valued for its superior transparency and clarity. 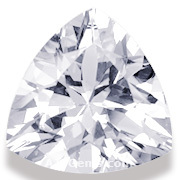 High quality material usually yields gems that are graded "loupe clean" or "almost loupe clean." Danburite can also be found in larger sizes, so if you've dreamed of a beautiful 10 carat colorless gem for a ring or pendant, danburite is an excellent choice. Though danburite was first discovered in the USA, deposits have since been found in Burma, Japan, Madagascar, Mexico and Russia. Much of the high quality danburite in the current market comes from Mexico. 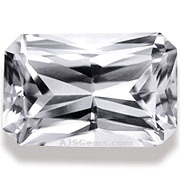 The material is completely natural and untreated, and the prices are very reasonable, typically in the range of $20 to $30 a carat for clean stones. Danburite can found in a range of shapes, including round, oval, trillion, pear and emerald cut. Danburite sometimes occurs in a pale yellow, yellowish brown or light pink. 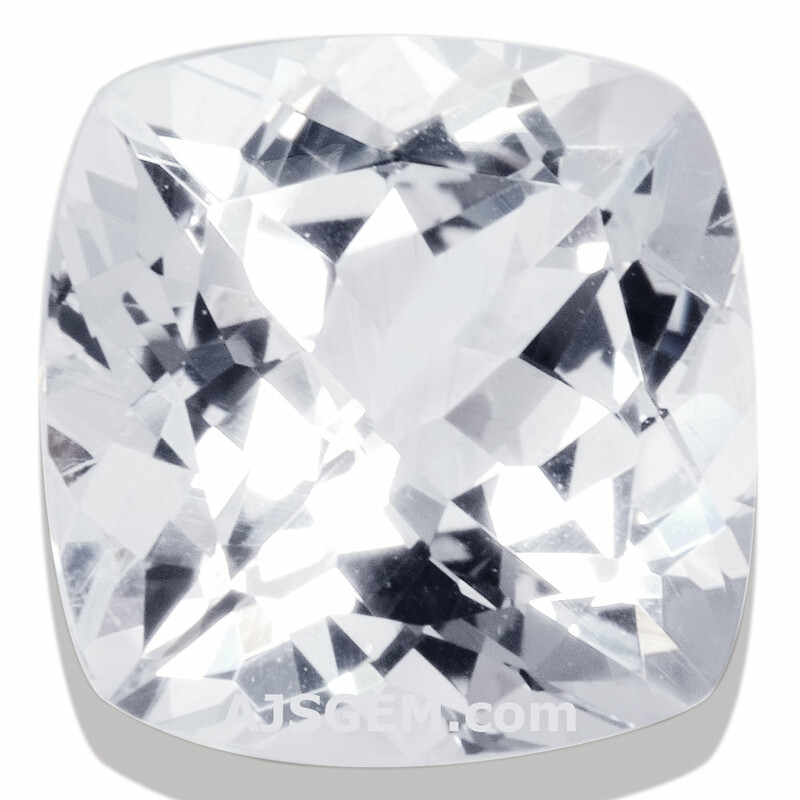 But it is the clean colorless stones which are most popular as gemstones.